The other day I took a peek at my recent blog posts, and found them a bit boring. While I love my WIBO entrepreneurial course, as well as the Music Success in Nine Weeks course that I’m co-teaching with Ariel Hyatt (we’re writing a book and going to LA together this week! ), my blog posts were missing something, so today I’m switchin’ it up! This is my second Halloween in my neighborhood of Washington Heights. The thing that struck me the most last year was how family-oriented my new neighborhood is. 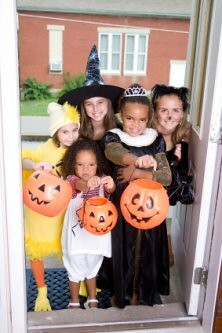 Moms and Dads are out in full effect to go trick or treating with their kids. The local stores, delis, and bodegas had candy ready, and I just had to capture this on video. Enjoy! A couple of years ago around this time, I spent some time at Yahoo! Answers, answering all kind of questions. In addition to the ever-popular “What should I be for Halloween?”, someone asked the question “Is Halloween evil?” No way could I ignore a question like that!! Since my answer was quite long (I did give it some thought. I even provided Wikipedia links!) I figured someone might find it interesting here too. So I’m republishing it this year for your reading pleasure. Since the dawn of time, humans have always celebrated holidays to mark special days, and the passing of seasons. Originally known as the Celtic holiday Samhain, Halloween was originally known as a special day that celebrated the end of the harvest. Children celebrated by dressing up in “spooky” disguises, just like they do now. When Jesus “the Christ” (which means “the Anointed”) lived, his power for love, forgiveness, and healing changed people, and the world forever. Long after His death, his devoted followers passionately spread his teachings throughout the world. 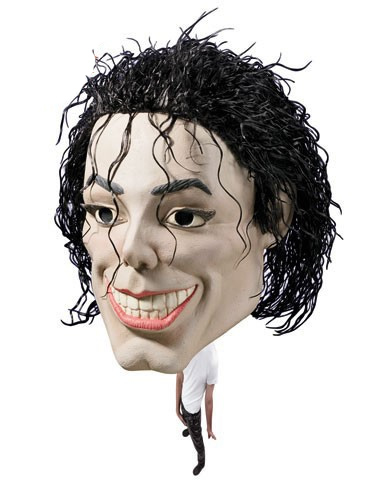 The Michael Jackson mask is here, just in time for Halloween. You know you want it. Click on SpiritHalloween’s button below, and get 20% off 1 item in your order by 10/31/09! 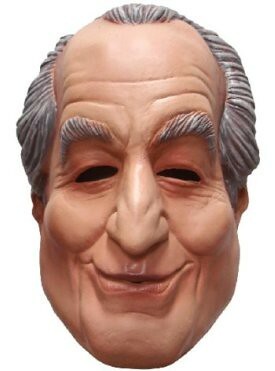 Bernie Madoff is said to be the most hated man in America. In other words, it’s time to poke some fun for Halloween! 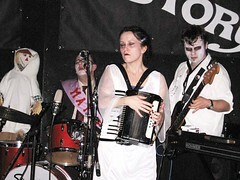 Dave Matthew’s Band Halloween Photo! 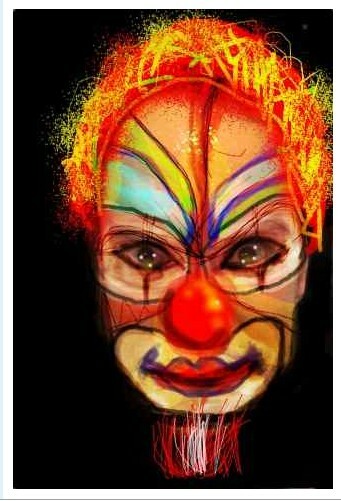 Yes, this is Dave Matthew for band Halloween! Creepy, huh?? After a month of begging and pleading for musicians in Halloween costumes, Dave Matthews sends me the MONEY SHOT for Day 31 of the “31 Days of Band Halloween”. Woo hoo!!! If you’re a band reading this after Halloween, I’ll be accepting band Halloween photos until Election Day in the US (November 4th). 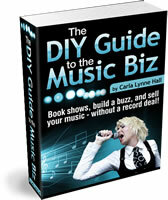 After that, stay tuned for next month’s focus at Rock Star Life Lessons: “The Recession Proof Musician”. I don’t know about you, but I refuse to participate in the so-called recession. That’s my choice and I’m sticking to it! 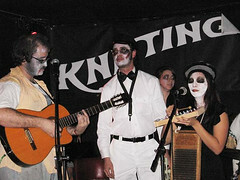 Last Minute Halloween Costume Ideas for Your Halloween Gig!! !